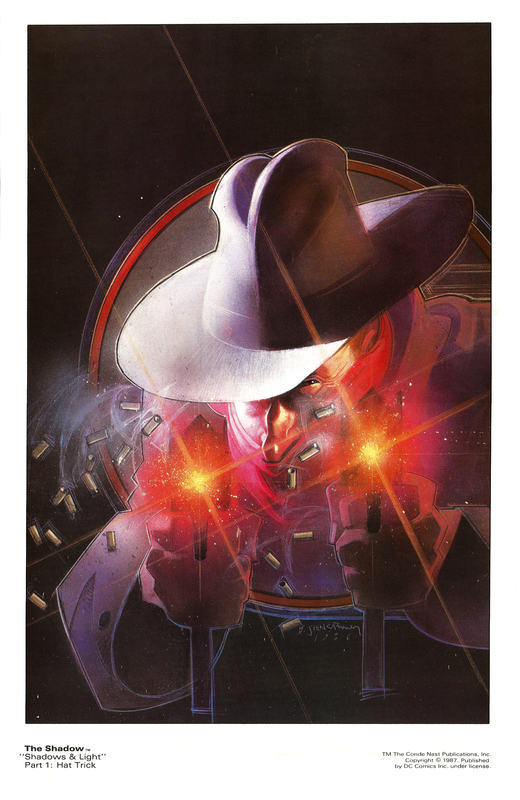 The Shadow Portfolio (1987) | 'TAIN'T THE MEAT… IT'S THE HUMANITY! 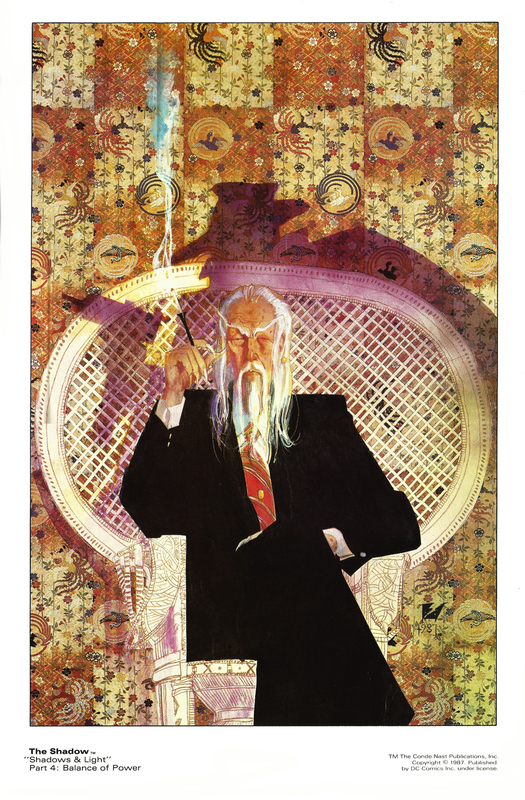 Published in 1987 by Conde Nast this six plate, full colour portfolio reprints the covers from artist Bill Sienkiewicz‘s celebrated run on DC Comics’ The Shadow. 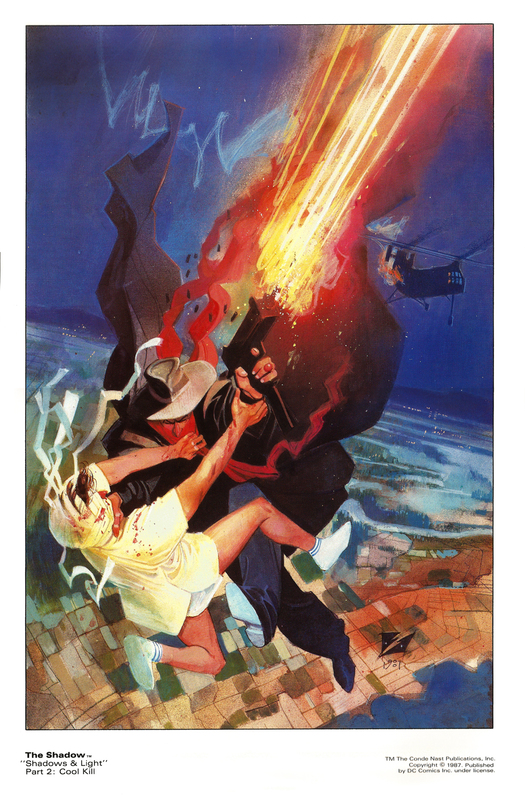 DC originally relaunched the classic pulp character in 1986 with Howard Chaykin writing and pencilling a four issue arc titled Shadow: Blood and Judgement. 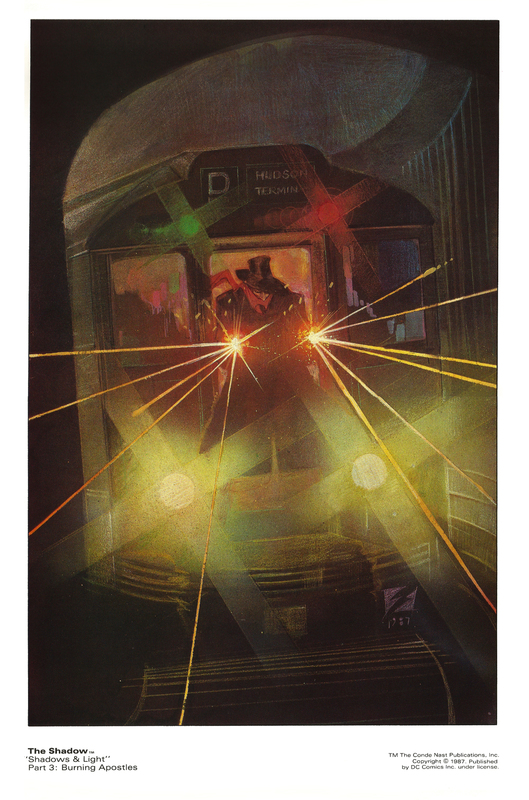 The following year DC green-lighted an ongoing series written by Andy Helfer and illustrated by Bill Sienkiewicz, who stayed with the title for six issues. 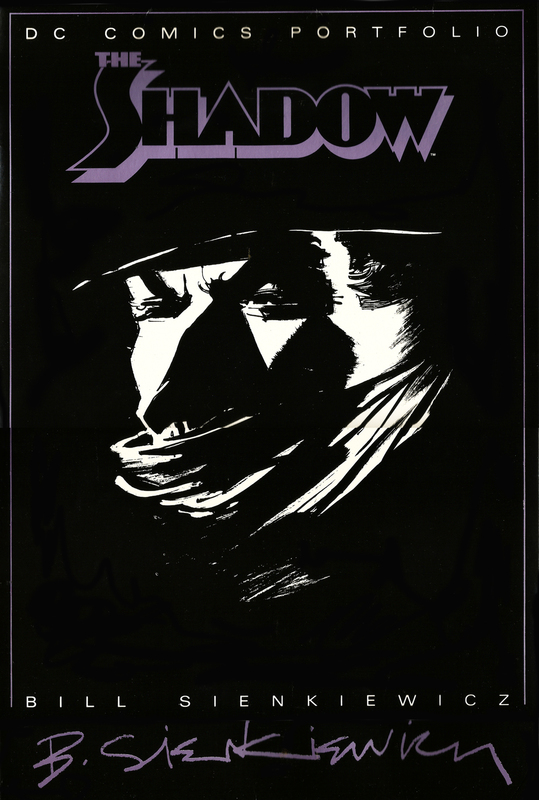 The Shadow Portfolio features his covers to that series, Shadows & Light, reprinted on 250 x 380mm card stock with a fold-out cardboard cover. And a great set it is too – out of all the portfolios in my collection this is easily one of my favourites. 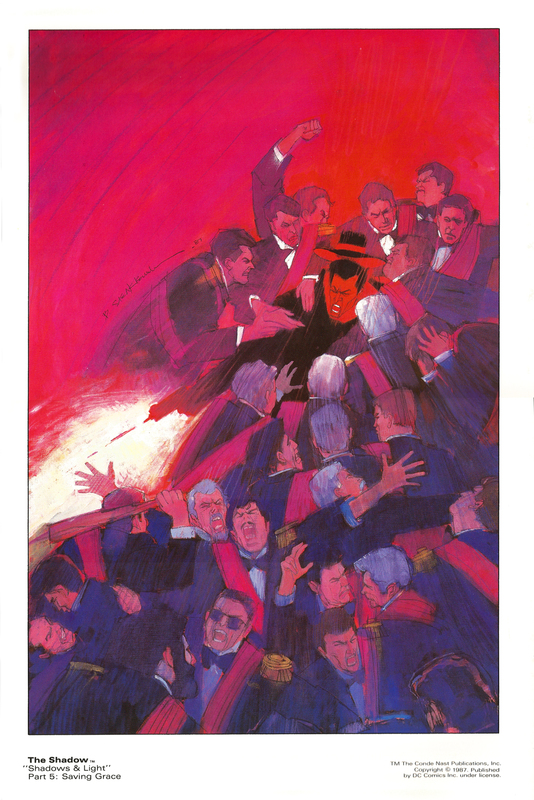 Sienkiewicz’s bold and energetic artwork really sizzles when given the portfolio treatment, and his vibrant colours jump out thanks to the collection’s high quality reproduction and superior paper stock. 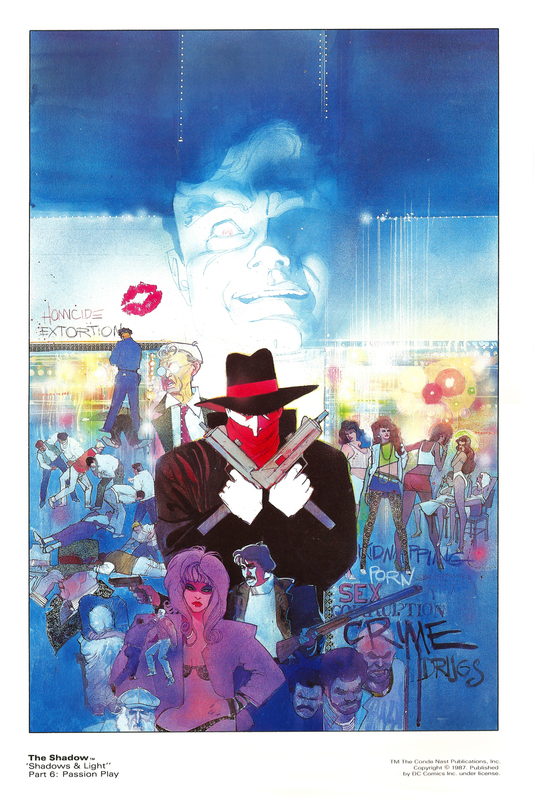 Sienkiewicz has been a favourite artist of mine every since I discovered his work on Marvel Comics’ Moon Knight in the early 1980’s, and over the years it’s been a genuine pleasure to track his development as he’s evolved into one of the most provocative and daring artists in the comics industry. Here are the six plates – click to enlarge.